The new Event system now integrates with Shop system to offer a more manageable avenue to cross-sell merchandise into your event forms. 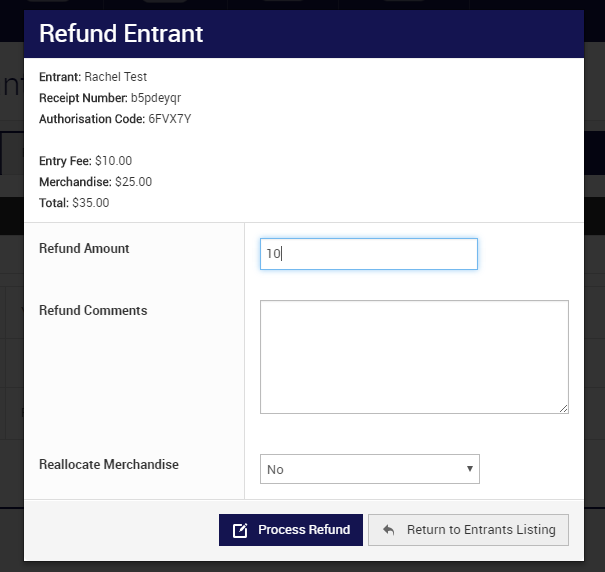 Step 3: Any refund completed in Event should be for event registration fees only. 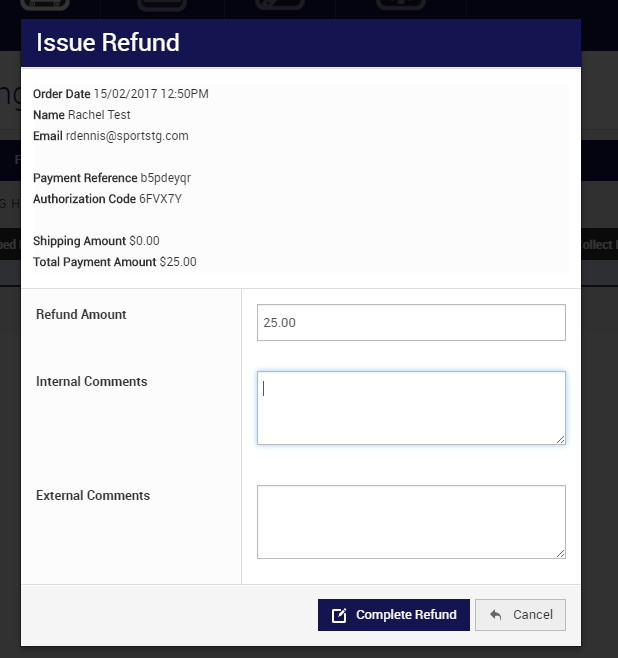 You should not refund any merchandise order fees through this process as the action needs to be completed through the inventory management source (ie Shop). 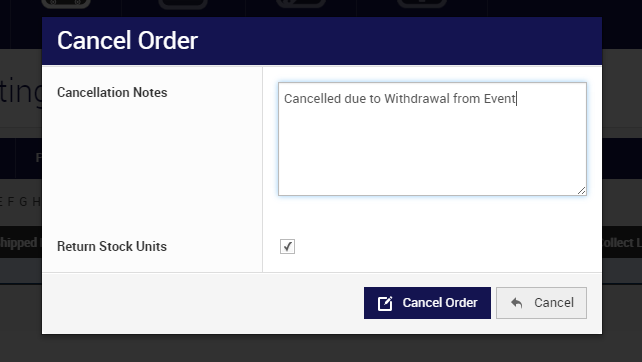 After clicking REFUND please change the Refund Amount to the entry fee only. For example, I purchased an event entry and merchandise item which totalled $35. 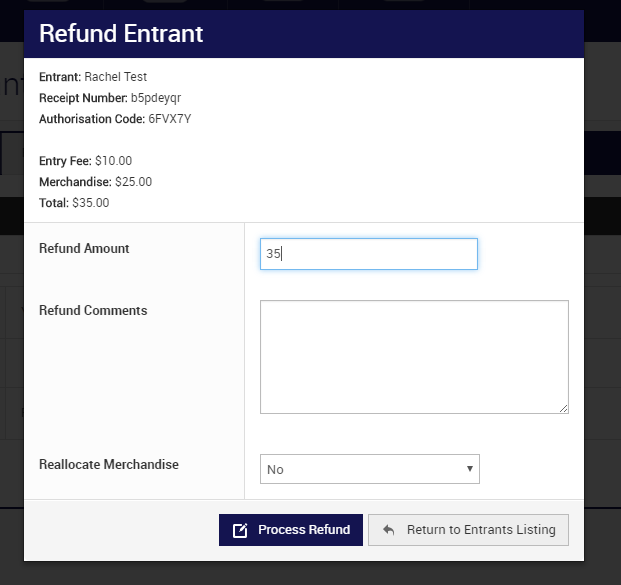 I only want to refund this person their entry fee which is $10 though, so I change the 'Refund Amount'. 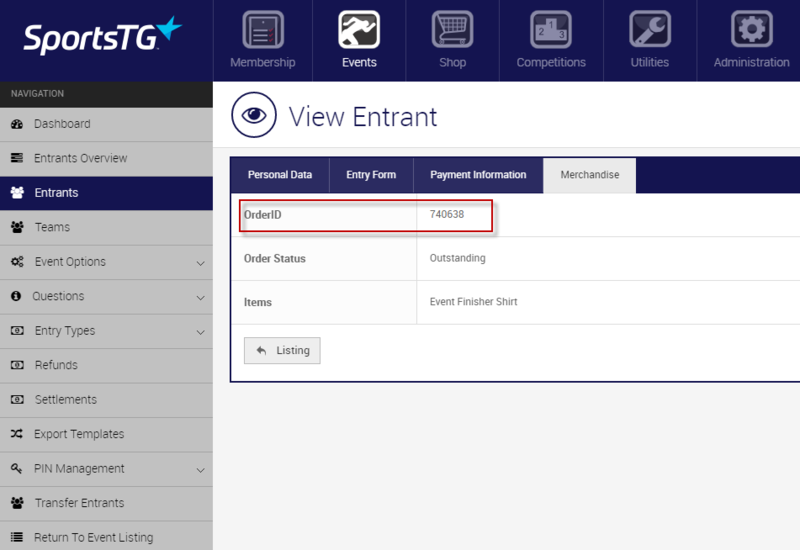 The above steps will ensure you refund the event entry fee and the merchandise order fee correctly. Please DO NOT refund merchandise through Event at any time as it will impact your Shop settlement process.